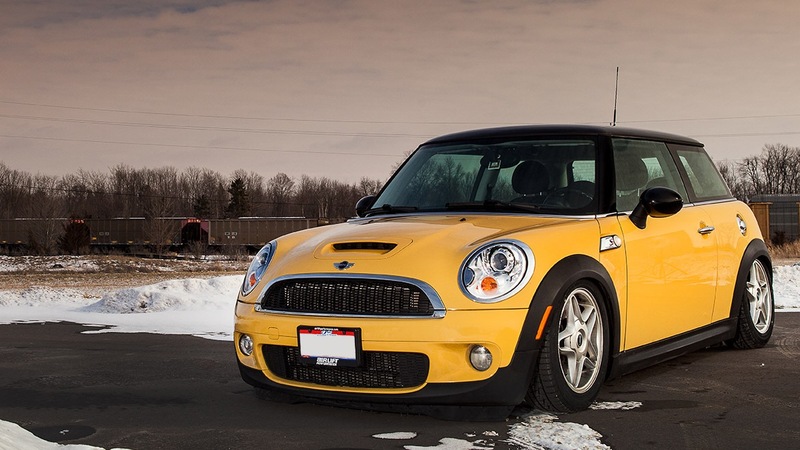 One of the best things about the Mini is the go-kart-like driving experience. 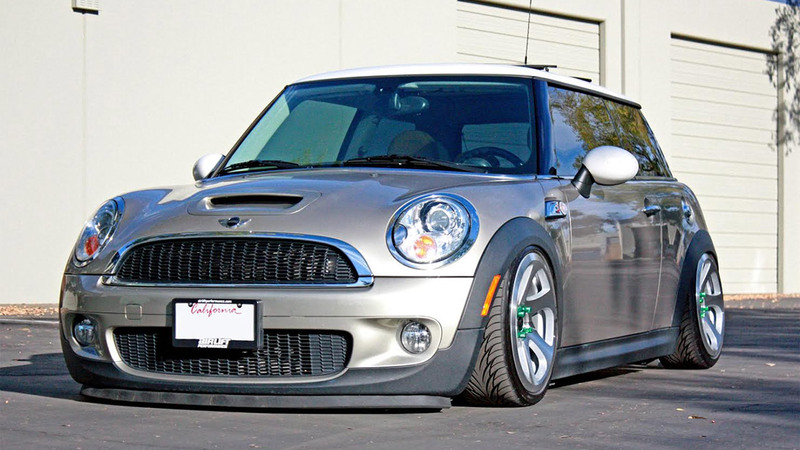 Although, looking at the ground clearance, you would think that the Mini is geared toward off-roading as opposed to carving corners! 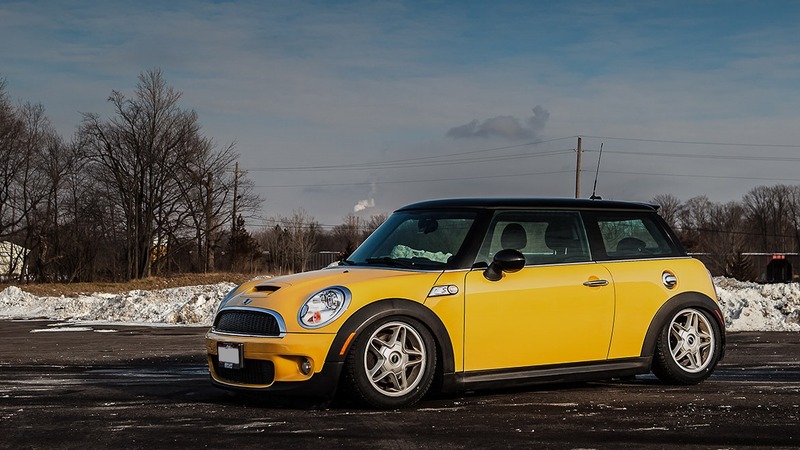 When we set out to build a performance air suspension, our engineers knew the suspension not only had to give the car a more desirable ride height, but had to perform as well, from daily driving to the track. 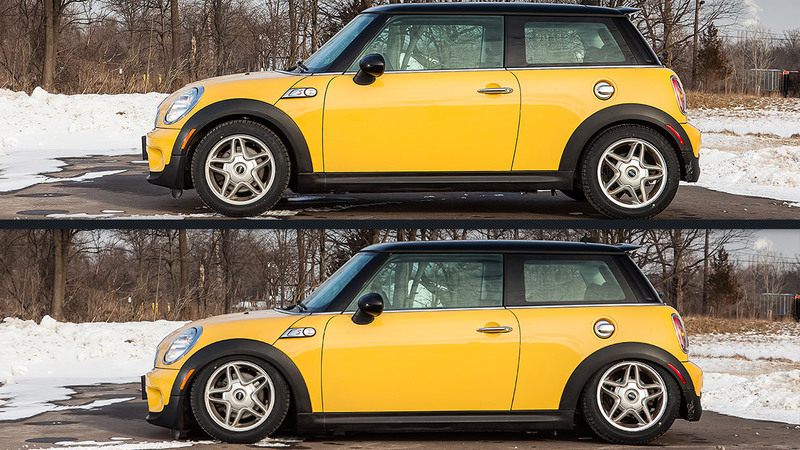 Starting with the front, we replaced the front struts with our own threaded body, monotube, 30-way adjustable struts, which are topped off with a smooth-riding, double-bellows air springs. No need to purchase a set of camber plates to help with handling duties – we include a killer set of T6061 red-anodized plates, coupled with high-quality spherical bearings for precise steering and quick reflexes. 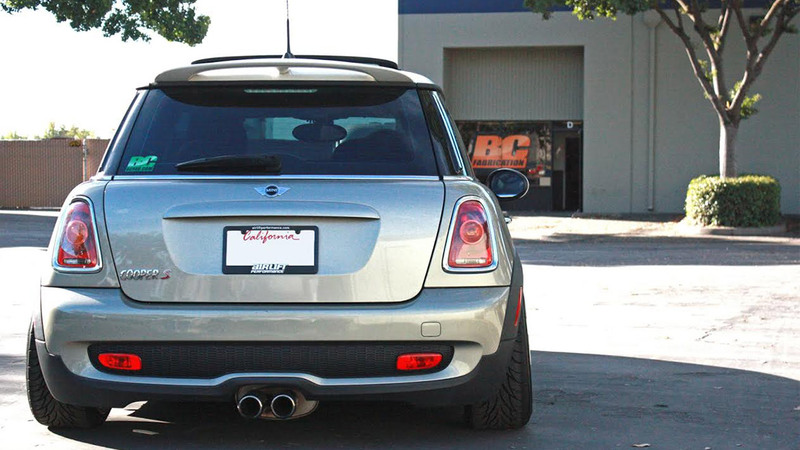 This hardware all adds up to provide an astounding 4.0″ drop from factory ride height. In the rear, we utilize a progressive-rate, sleeve-style air spring, mounted to a monotube, 30-way damping adjustable shock to match the front. Just like in the front, we use T6061 aluminum upper mounts with spherical bearings. When it is all said and done, you end up with a 4.9″ drop from that original off road altitude. 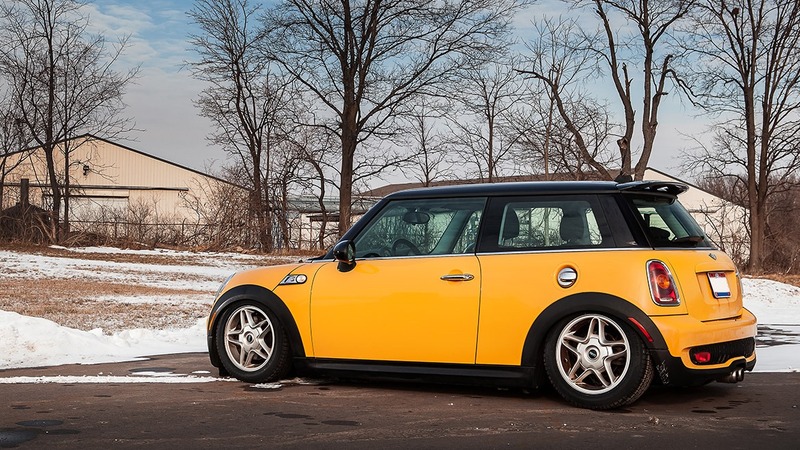 It’s not all about fancy parts and a show-stopping stance though. This suspension was designed on the race track placing emphasis on handling performance served up with a side of ride quality. Not only will the air springs give you a smooth, progressive spring rate under hard driving, but the damping adjustability allows for you to fine-tune the ride, as well as provide you with the handling you are looking for. 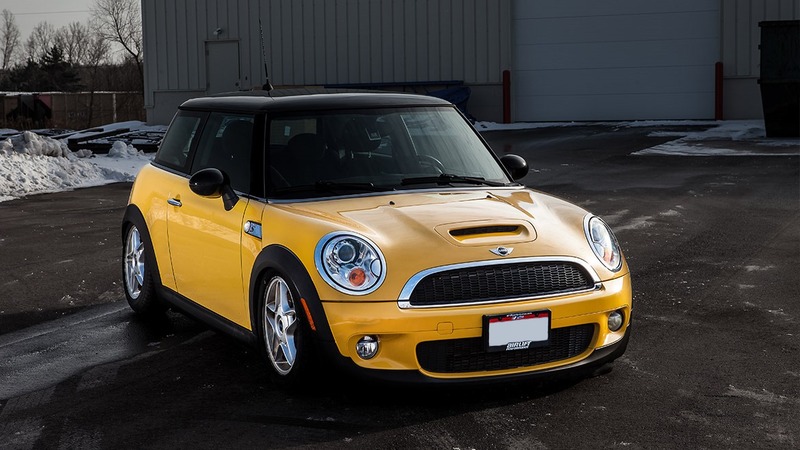 Go from a smooth, comfortable ride to racecar-stiff handling with just the twist of a knob. What does this mean? It means that you can have a comfortable drive to the track, then can easily change a couple of settings, and then be able to carve corners with the best of them. It also means that steep driveways and speed bumps will no longer make you cringe. With the push of a button, you can raise the car to factory height and clear pretty much any obstacle that appears in your path.